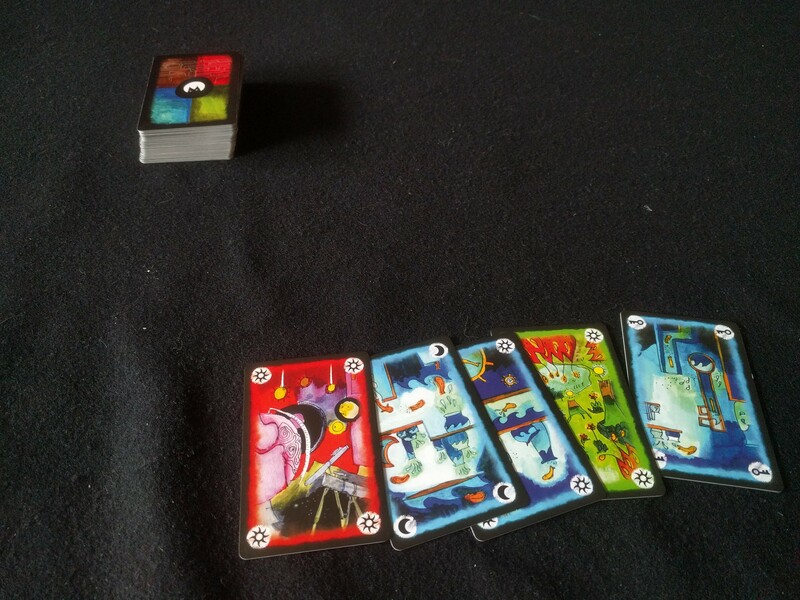 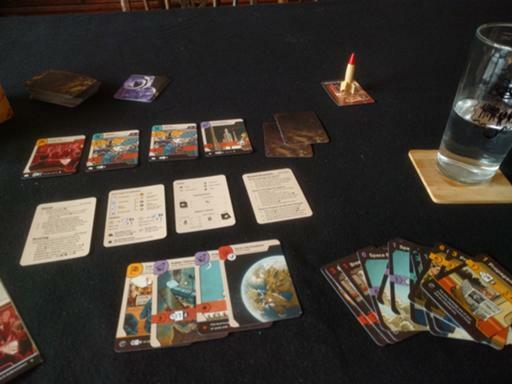 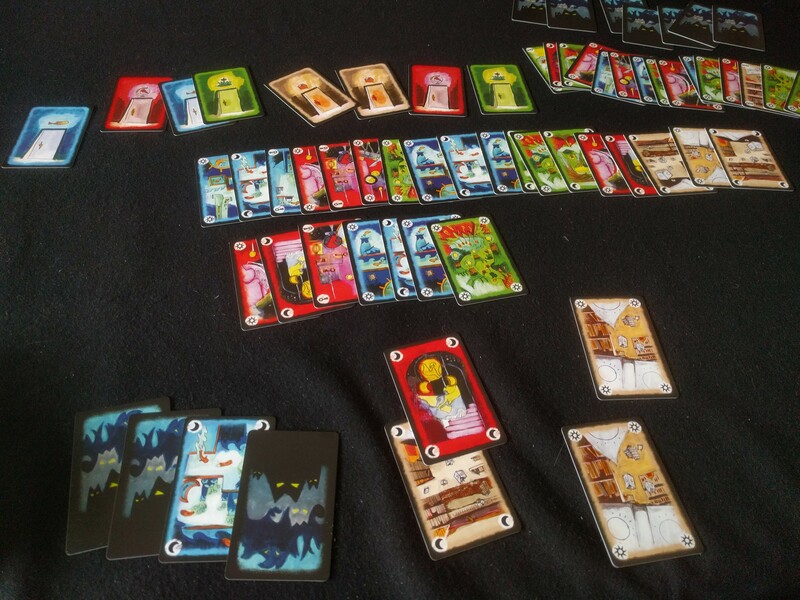 Next, Onirim, which I was kindly given at the first 1PG UK meet – and have barely played since. This time I got it to come out, mostly by spending keys as exploration elements to make rows of three rather than holding onto them for the doors. 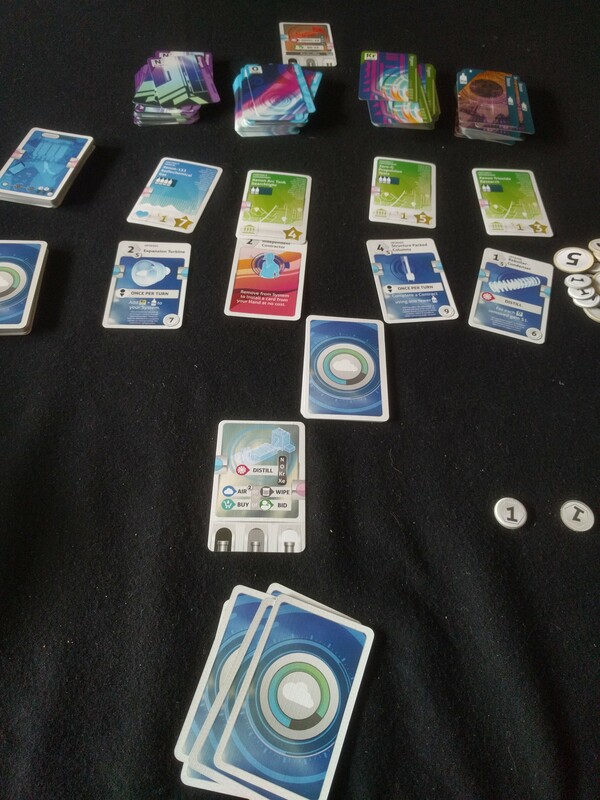 After a quick break for the pub (which now has a gin menu), back for Xenon Profiteer. First time with the solo rules, and I messed them up on the first game by not including all the tokens, but I still managed to win both times. 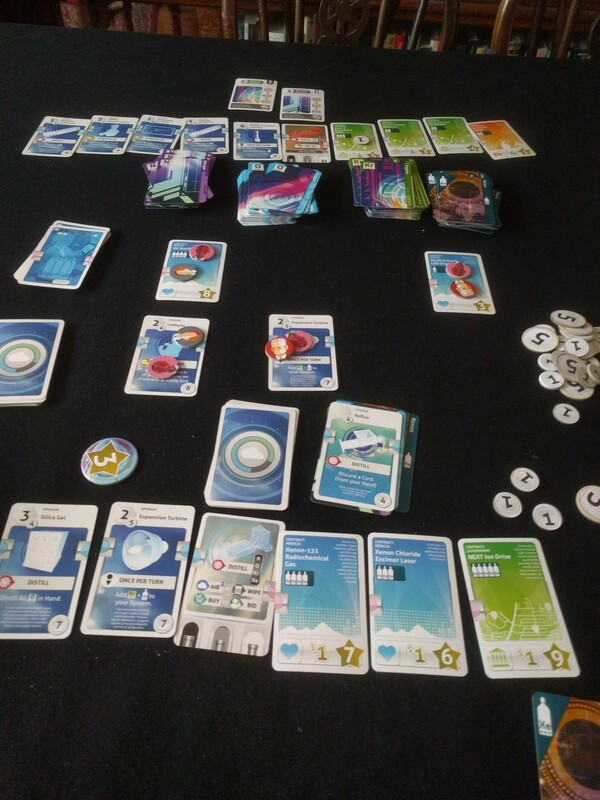 It's not as good as the multi-player version – for my taste, too easy to get xenon out quickly – but still one I'll try again. 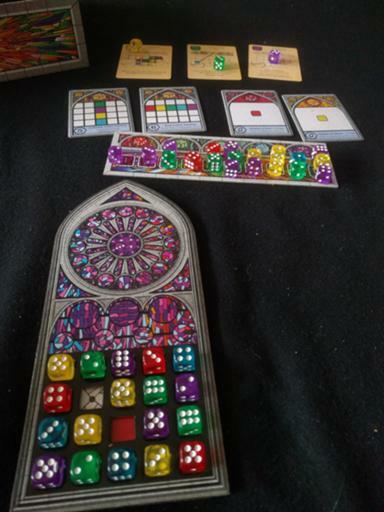 Finally, Sagrada, which has a pretty tough solo mode… I came close to winning, but didn't make it. I think I'm sidling up on a way of thinking which will make this game work for me, but it'll take more practice. 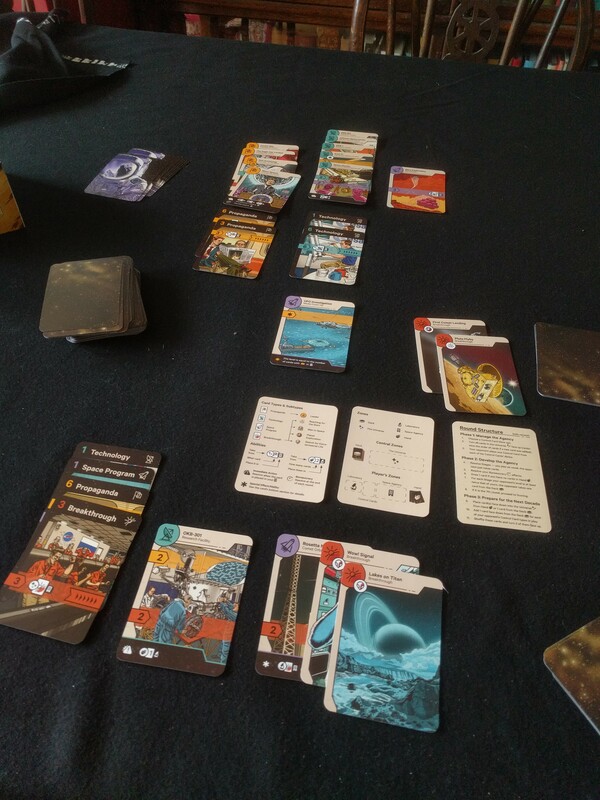 Five games in three and a half hours, and I didn't have to go anywhere or be pleasant to any fellow players when I was in a bad mood. I don't suppose I'll do this every weekend, but it's certainly likely to happen again. 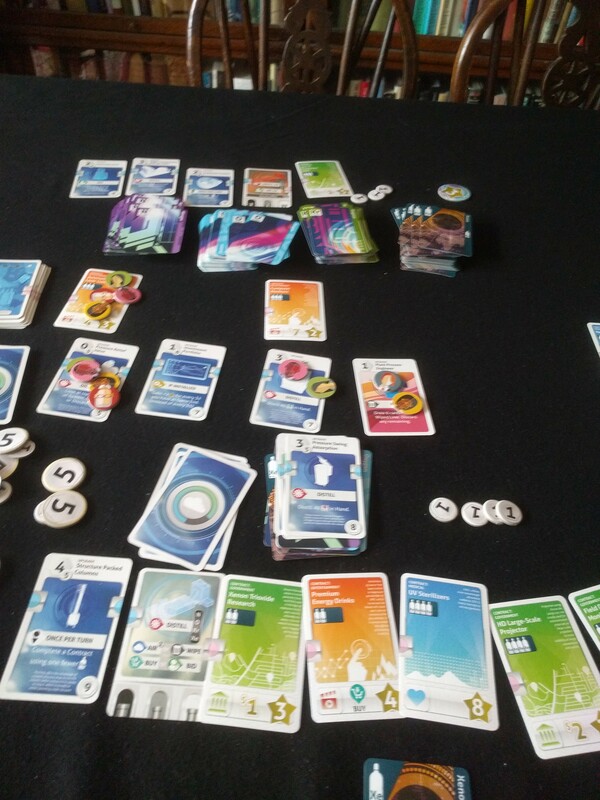 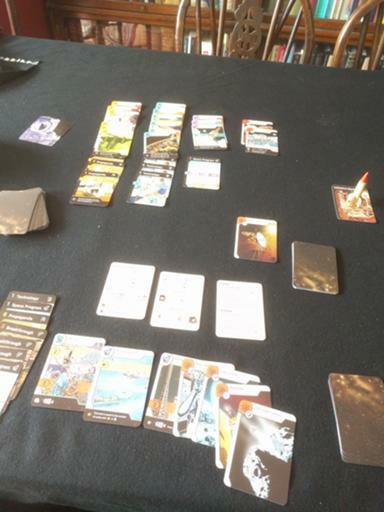 [Buy Onirim at Amazon] [Buy Xenon Profiteer at Amazon] [Buy Sagrada at Amazon] and help support the blog.